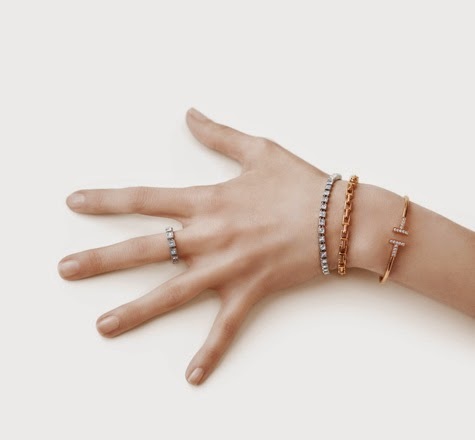 Meet Tiffany T By Tiffany & Co.
Meet Tiffany T, the brand new collection to covet at Tiffany. A few months ago, I had the honour of being invited at Tiffany to discover this upcoming collection during a private viewing. I didn't know what to expect since all of their collections are so different in style. But considering the brand's ethos, I was expecting nothing less than striking elegance. 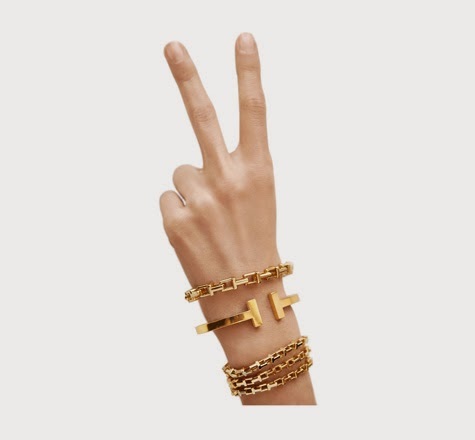 My heart skipped a beat when I laid eyes on the minimal bracelets and monumental cuffs, the stackable rings and chain necklaces that can be worn multiple ways. Every single piece from the collection is brilliantly sophisticated in a bold and modern way. There is a clever play of angles and curves that is a reminder of the iconic New York architecture as well as the strong energy of the city. 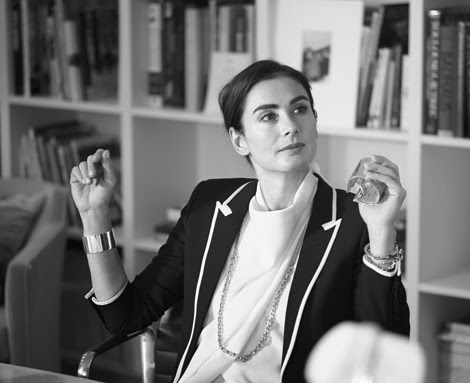 "I wanted to create a symbol for modern life and its relentless energy that flows through New York and drives art and culture around the world" explained Francesca Amfitheatrof, Tiffany & Co.'s newly appointed design director. It's definitely mission accomplished for the trained jeweler and silversmith, who brings with her over 20 years of experience in the fields of art and jewelry design, fragrance, furniture and interiors. Known for her collaboration with Chanel, Fendi, Marni, Alice Temperley and Alessi, Amfitheatrof is one genius tastemaker. When asked about her creative work at Tiffany, she answered, "This is just the beginning of what I hope to accomplish". Guess what is the new name on top of my personal wishlist? Image credit: Tiffany & Co.
1 comment on "Meet Tiffany T By Tiffany & Co."
This must have been a fascinating event to attend! I was interested to learn about the jeweller, Francesca who looks so elegant and stylish in the photo. Celebrate Oyster Season At Oysterfest!